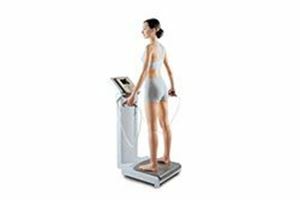 pH Body Composition assessment uses the industry-leading InBody 720 to give you key health data within minutes, including your total body fat and body fat percentage, lean body mass, BMI, total body water and basal metabolic rate. You’ll walk away knowing exactly how much fat you need to lose or gain, how much muscle you need, how many calories your body burns and how hydrated you are. Start your healthy life now. Identifies health risks associated with total body fat or excessive accumulation of intra-abdominal fat. Determines whether the body is properly hydrated. Monitors changes associated with specific diseases that alter body composition. Assesses the effectiveness of nutrition programs and exercise interventions. Estimates ideal body weight and suggests dietary recommendations and exercise prescriptions. Monitors growth, development, maturation and age-related changes in body composition, especially in children. Provides relevant data that can be used to prevent chronic diseases. Optimizes athletic performance and evaluates the effectiveness of training regimens for athletes. The InBody 720 is used in research facilities all over the world to monitor changes in lean mass, body fat percentage and more. The InBody provides information necessary to help prevent diseases like hypertension, diabetes, heart disease and a fatty liver. In particular, with the inclusion of segmental lean analysis and extracellular to total body water ratio, it is being widely used for medicinal examination and proper diagnosis. The InBody provides high-precision data required to properly diagnose and treat patients that suffer from obesity. This level of precision allows for the most appropriate treatment to be determined. Direct measurements of each arm, leg and trunk make it easier to monitor treatment effectiveness and changes that otherwise may go unnoticed. The InBody is used to assess body water balance and detect changes in body water before and after dialysis. Due to its sensitivity to changes in body water, it confirms dramatic changes. The InBody reports precise data for body development and balance for training and exercise programs. Over time, you can use the InBody to show exact gains in muscle mass in each region. The InBody is used to analyze current health conditions and nutritional needs for patients with geriatric diseases, chronic illnesses and for children during the early growth periods. Specifically, dramatic muscle loss can be monitored. The InBody also plays an important role in combating one of the world’s largest epidemics, childhood obesity. By monitoring childhood growth and balance, the InBody provides data that may have otherwise gone undetected, undiagnosed and untreated.